Spec-D Tuning is one of the leaders in the automotive aftermarket industry. This set of Spec-D Euro Taillights will make heads turn wherever you go. The unique Altezza styling is cleaner yet more aggressive than the stock design. These Euro-inspired taillights are available in black or chrome housings combined with a clear polycarbonate lens. Each kit is specifically designed using the original CAD data to produce the perfect fit. 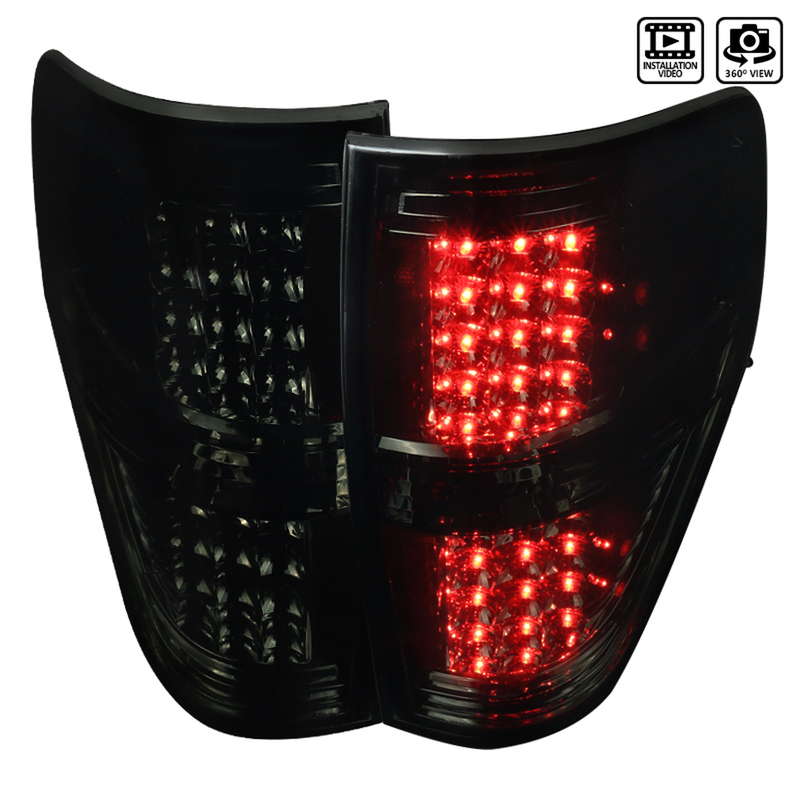 Spec-D Euro Taillights are available for any make and model of import or domestic car, SUV, and pickup truck. Sam’s Motorsports offers the best deals and the lowest prices on all Spec-D Tuning lighting kits. Take your pick from Spec-D Euro taillights, LED taillights, and Halo taillights to give your car an updated look and style. 2009-2014 Ford F-150 Spec-D Euro Tail Lights, The Spec-D Euro Tail Lights is designed specifically to fit your 2009-2014 Ford F-150 without any modification to your beloved Ford F-150. If this Spec-D Euro Tail Lights is not exactly what you are looking for to accessories your 2009-2014 Ford F-150, please don't give up just yet. Our catalog has huge variety of parts and accessories for your Ford F-150.